Don't worry if you miss something, The transcripts for each lesson are available in the podcast show notes and through downloadable PDFs. You not only listen, you are asked to fill in the blank, conjugate or interpret. You interact with the audio lesson to ensure you are retaining all that we cover. Learn during your commute or while exercising. 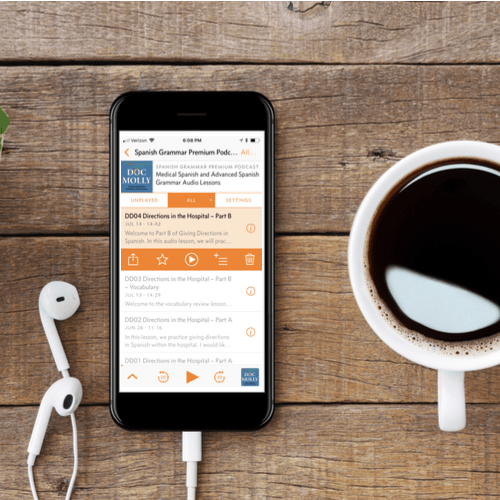 All the lessons are available to stream or download from this site or through premium podcast feeds. Can be done while walking or commuting. Click the headphones to hear why I started podcasting. Learn while exercising or commuting. Cut down on your screen time. Instead of staring at your computer, wouldn’t you rather go for a walk as you practice conjugating the imperfect subjunctive? All the audio lessons are available to stream or download from the site or through premium podcasts feeds. In addition to being portable, all the lessons are interactive so that you must pay attention and speak Spanish. You will be asked to fill in the blank, conjugate and interpret. Learn from native Spanish speakers. Finally, to ensure the quality and accuracy of these lessons, and in order to delve deep into common problem areas for advanced learners, I collaborate with native Spanish speakers to write all the audio lessons on this site. Additionally, all the clinical dialogues and interviews under the Medical Spanish membership are recorded with native speakers. Just beginning to learn medical Spanish? This is a subset of the Medical Spanish lessons that are at a beginner to intermediate level. The lessons follow an audio flashcard format covering essential vocabulary and phrases for a complete Medical History & Exam. 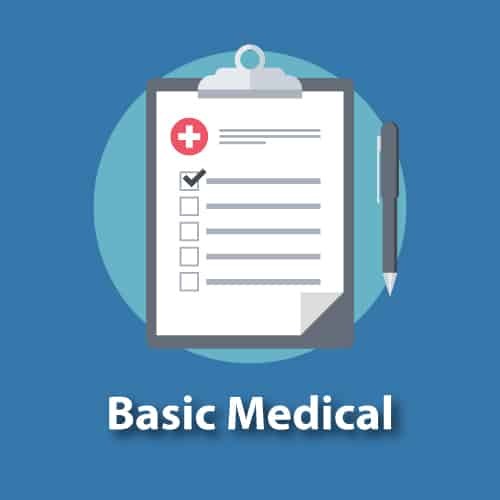 The Basic Medical lessons are the perfect place to begin studying medical Spanish. Looking for more advanced Spanish lessons? Most of the Medical Spanish lessons are at an intermediate to advanced level and are based on common clinical encounters and interviews with native speakers. 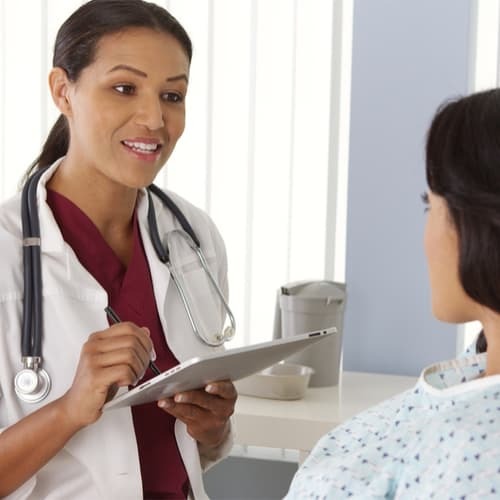 In the premium lessons, we review the key vocabulary and grammar as we practice interpreting each line of the clinical dialogue or interview between English and Spanish. I write all of the Spanish grammar lessons in consultation with a native Spanish-speaking teacher. These lessons cover those pesky grammar rules that are hard to find in your typical Spanish course or textbook. 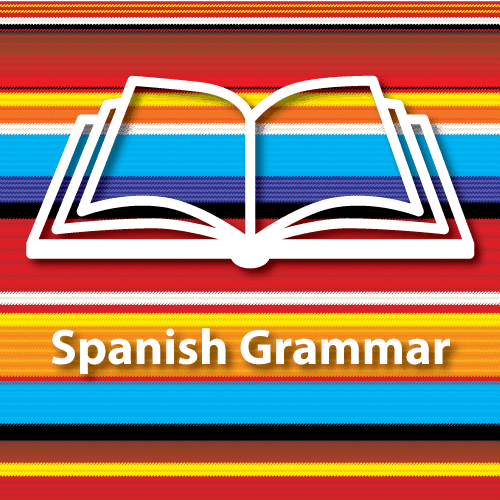 Through brief explanations, followed by interactive audio exercises, we take on advanced Spanish grammar! OJO: We also cover a lot of grammar as we review the dialogues and interviews in the Medical Spanish lessons, so I recommend you check those out as well. I collaborate with native Spanish speakers and teachers to create high-quality audio Spanish lessons. 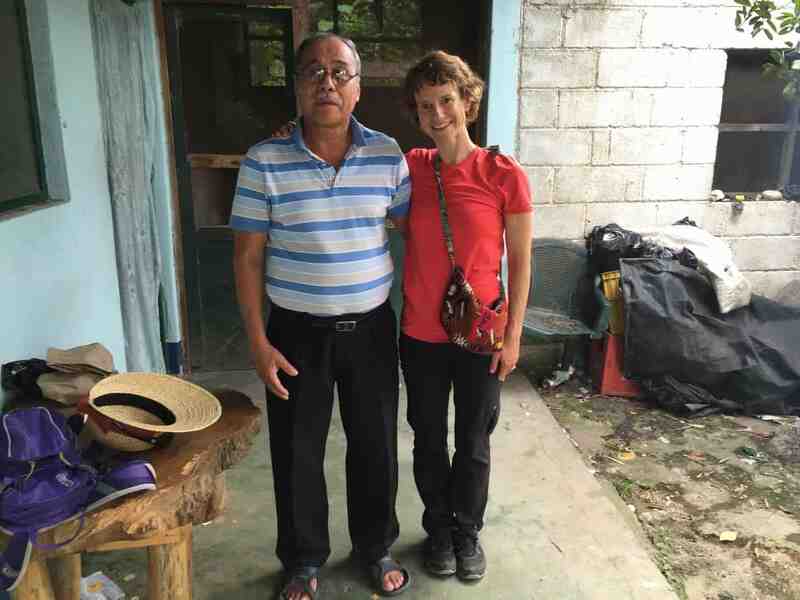 I studied at the San Pedro Spanish School in Guatemala where I interviewed a curandero (medicine man), a comadrona (midwife) and Letty, a woman who has suffered from both Zika and Chikungunya. In the audio review lessons covering these interviews, you will hear my Spanish instructor from San Pedro Spanish School, Javier (pictured below). Javier continues to help me with clinical dialogues and grammar lessons. He helped me write and record the NIH Stroke Scale in Spanish series. I interviewed don Francisco, a curandero de huesos from Guatemala. I worked with María Laura Mecías, a Spanish teacher at Elebaires in Buenos Aires, to write and record the Atrial Fibrillation dialogue. At Elebaires, you can take lessons, participate in internship programs to gain professional experience, and/or participate in a volunteer project with a local community. I teamed up with the former online Spanish school, Language Tailor, in 2010 to work with two of their instructors: Patricia Bustamante de la Garza from Mexico City and Ángel Bahena originally from Cuernavaca, Mexico. Patricia helped me put together the Basic Medical course and both Patricia and Ángel helped me to write and record many of the clinical dialogues on the site. Ángel also recorded interviews with his family members in Mexico about diabetes, infertility and childbirth. In the audio lessons, we review the vocabulary and grammar used during those interviews. For those who want one on one instruction, Ángel also offers lessons over Skype. When I first started podcasting, I got by with a "little help from my friends." You will also hear Urso Ramirez, who is originally from Santo Domingo, Dominican Republic. I met Urso through my friend, Sarah Shelton, also featured in some of the lessons. Sarah, like me, is from Minnesota, and has traveled, lived and worked in Latin America. 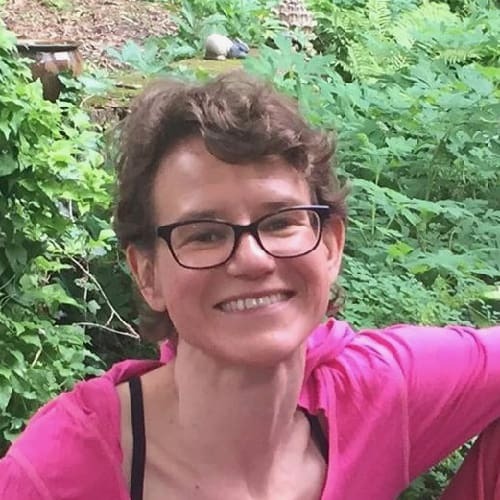 Finally, when I first started publishing these audio lessons through the Medical Spanish Podcast in 2007, I teamed up with my friend Maria Bjorklund, MS from Peru. She has her masters in Education and teaches High School Spanish. Check out my FREE audio Spanish lessons! Both the Medical Spanish Podcast and the Spanish Grammar Review have averaged 4.5 stars in Apple Podcasts! Ideal for learning on the go. Thank you for your amazing work helping us become proficient in Spanish. My commute recently went from 8 miles to 22 miles. I get to listen to your podcasts more. It is wonderful. The medical podcasts have great, practical information. They are easy to understand and are just the right length. The grammar podcasts are the best I have ever found on the pesky grammar issues that are difficult for native English speakers. I have listened to your subjunctive podcasts over and over because, while I understand the rules, there are so many exceptions, and it is a great review. Just wanted to update you that I passed my medical interpreting exam. I listened to every single one of your podcasts and they were incredibly helpful for the exam. Muchísimas gracias! Get 15% OFF when you sign up for our newsletter. you check out and get 15% off! Contact us anytime at info@docmolly.com. We will respond within 24 hours. 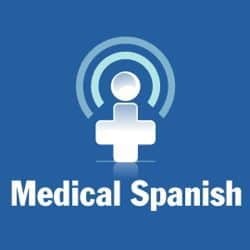 Listen to introductory Medical Spanish or Spanish Grammar audio lessons. Become a premium member and start improving your vocabulary, grammar and fluency in Spanish. All you need is included in the audio lessons, and the transcripts are in the show notes, so put on your headphones, go for a walk and start learning and speaking Spanish!